Although this Winter is not as cold as past Winter, I look forward to Spring so I made this card. I bought this stamp ages ago from AC Moore but I rarely use it. Wow, it had been almost 4 months since my last post. Do I still have any reader? 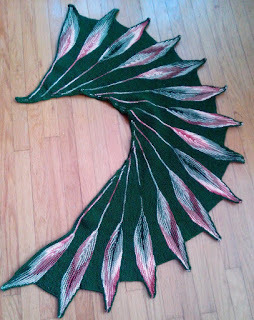 Here are Dreambird shawls that I had been making. 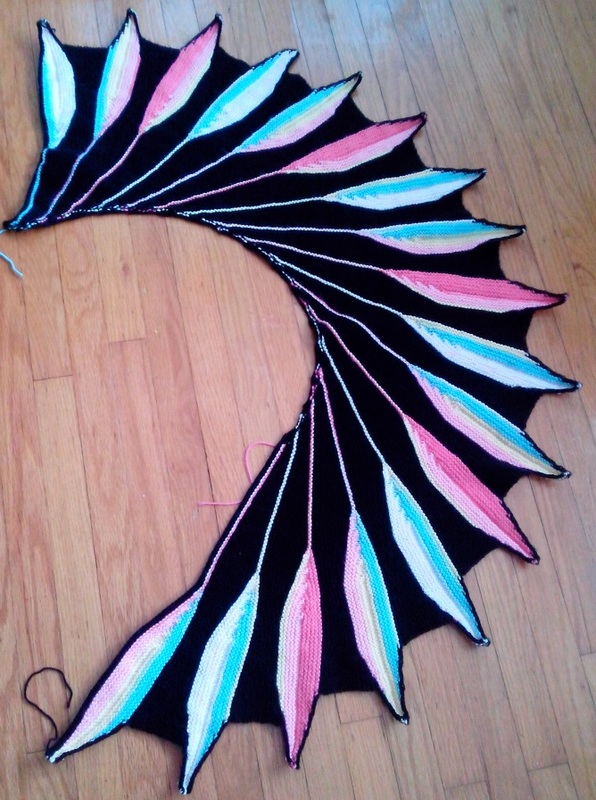 Both need to be block and weave in all ends. Faye wants this one. I used baby yarn so it is very soft. It has more feathers but since I used smaller needle the shawl is not as big. I made it a little long so she won't grow out of it too fast. She grown out of everything that I made her. This next one was a joy to knit. I used size 6mm needle and Red Heart Soft yarn. It was pretty fast to knit. Made these small gift bags from sample wall paper. Made these for Etsy shop. Had these small bags for awhile. Finally decorated them. Here are a few more. The pink and purple were made with 2 pieces of 8 1/2 x 11 card stocks. The Black one was made with 6 x 12 card stock. I personally enjoyed making my own bags then bought bags to decorate them. You can fine all these bags at my Etsy shop. Made these for my Etsy shop.